$1.79 to $79.99 & FREE Shipping on orders over $59 $35. Polaris is one of the new hops from Hüll in Germany. It is known for being a monster in the Alpha Acid department at levels sometimes exceeding 20%. 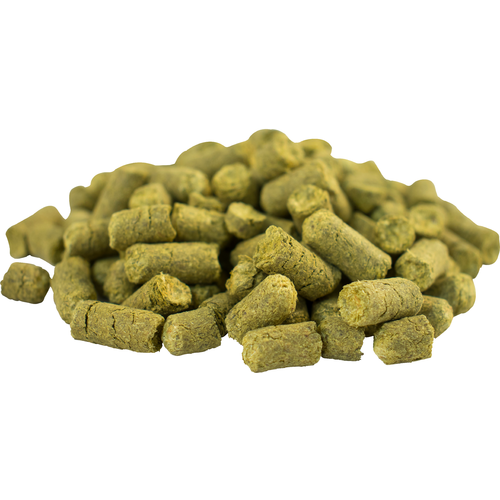 It also has a super high oil content meaning it is a pungent hop. Said to have some fruit flavor, the most common reported flavor is spicy mint. The mint flavor is best described like the flavor in a glacier mint candy. You may think twice about a mint flavor in your beer, but feedback is the mintiness is not overwheming or a negative and actually adds depth. We would love to hear your thoughts. my LHBS didn't have this one. This hop was featured in a "thematic" beer made for Black History Month called "The True Price of Freedom". The beer was styled after an ESB, yet there was an extra addition of Carafa II malt to darken it. The hop blended in well and delivered on the "icy" tones in it's herbal flavor, where you could feel it on the outer ridge of your tongue. First review of this hop in this style, yet would like to field test in another type to feature it's flavor more, like a hefeweizen or a Marzen.